I made my family dinner on Monday night. It was nice to take some of the pressure off my mom’s shoulders for once. She seemed less stressed that night and we had fun. 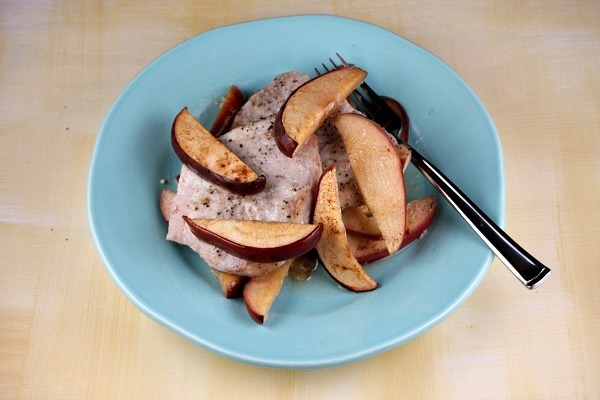 I got top reviews on my dish because I made Baked Pork Chops with Cinnamon Apples. Yum. 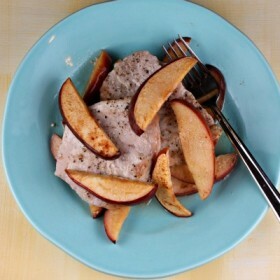 The cinnamon apples tasted great on top of pork chops. They are a great combination. 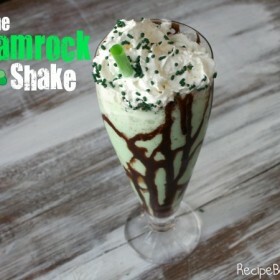 I got this recipe from “The Kid’s Cookbook.” You can find this on Amazon. I would recommend buying this cookbook because it has more great recipes in it too that are easy for kids to make! I don’t want to accidentally chop one of my fingers off! That would ruin my whole career. Just some messing around time. I have to have my fun every time I make a new dish. I dumped half of my sugar in one spot on top of the apples so I had to add a little more just so that I covered every place. A little cinnamon goes on there too. Say “Cheese!” Into the oven it goes. That’s my plate! I call dibs on that plate. Doesn’t that picture look perfect? It sure tasted like that too. The pork and the apples tasted like a crunchy/chewy/sweet goodness. 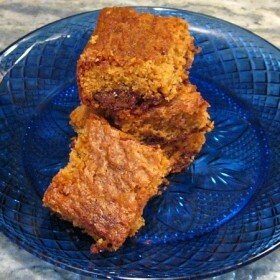 My family and I LOVED this recipe. 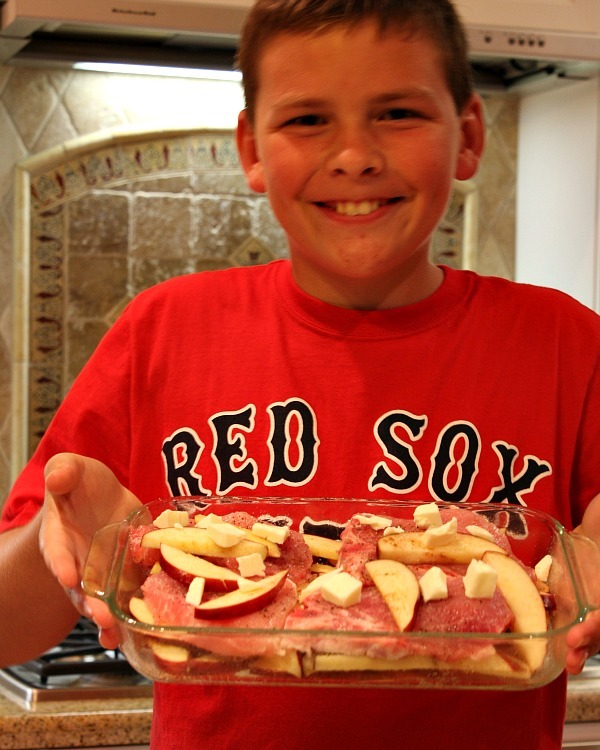 And even a kid can make his family dinner… Like Me! Such a simple 5-ingredient, kids-will-love-this-too dinner! 1. Preheat the oven to 375 degrees F. Spray a 9-inch square baking dish (or something similar) with baking spray. 2. Core the apples and cut them into slices. Pile the slices into the baking dish. Sprinkle the sugar and cinnamon over the apples. 3. Sprinkle both sides of the pork chops with salt and pepper. 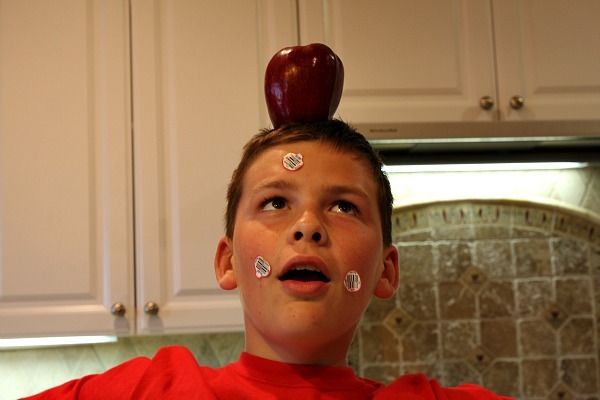 Tuck the chops into the apples, rearranging the slices around them. 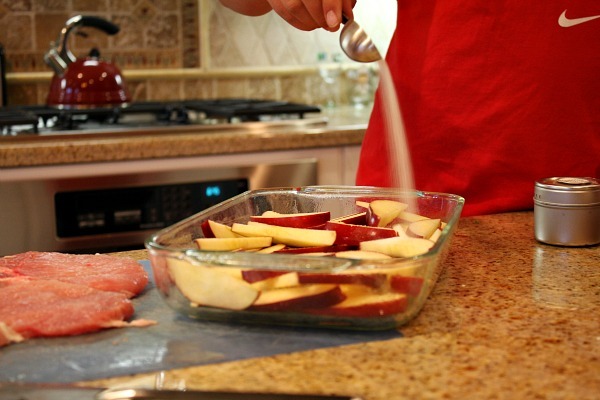 Scatter the butter pieces on top of the pork chops and apples. Cover the dish with foil. 4. Bake 40 minutes. Remove the foil and bake for an additional 20 minutes, or until the pork chops are lightly browned and the apples are tender. 5. 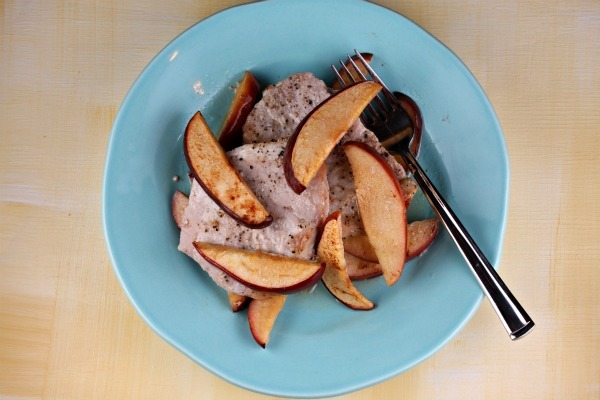 Serve pork chops covered with apple slices. Spoon the pan juices over the top. How sweet of you to make dinner for your family! 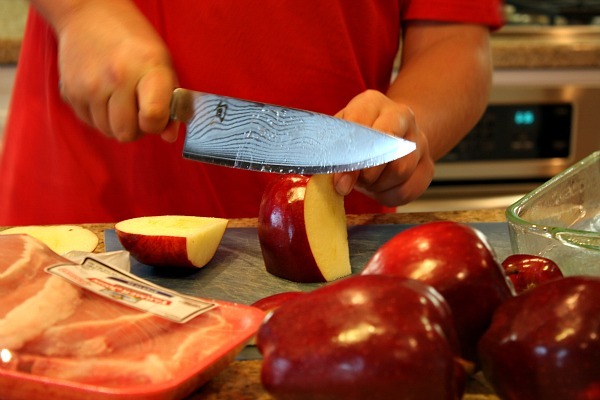 Apples go so well with pork, and your meal looks beautiful =). This looks really good and GF too. I liked the funny pictures too. Practice some more. You can cook for me anytime, maybe in August! See yoiu soon. These look so good Recipe Boy! So great to have a meal the kids can help cook! Great post!